There were plenty of NBA games on the last day of January, seeing the month out in style. The Mavericks travelled to Orlando and grabbed a big win, defeating the Magic by a score of 93-108. There was a tight game in Indiana, with the Pacers falling to a 94-99 defeat by the Kings. The Pistons were on fire at home to the Rockets, winning by a score of 114-101. The Cavaliers maintained their strong current form, winning in Minnesota by a score of 90-106. The Nuggets were demolished at home by the Hornets, losing by 86-104 and the Suns were similarly dismantled on their travels, the Golden State Warriors winning by a score of 106-87. The Raptors were involved in a close game, defeating the Wizards by a score of 116-120 in Washington. The Hawks won against the 76ers, defeating the Philadelphia team 91-85. The Grizzlies downed the Thunder at home, winning by 85-74 and the Bucks overcame the Trail Blazers, the Milwaukee side grabbing a 95-88 home win. 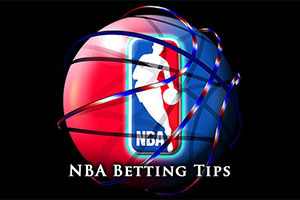 The Spurs were comprehensively beaten at home by the Clippers, The Los Angeles side winning 85-105. With the SuperBowl dominating the sporting scene in America, basketball takes a backward step. When you take on board that more people are interested in the adverts around the game as opposed to the game itself, you have to wonder why there is so much focus (and so much money) being placed on American Football when there is basketball to get excited about! The Heat have a 20-26 record coming into this game, and their 12-11 away record isn’t great, but they will still be able to head to Boston with a deal of confidence. The Celtics hold a 16-29 record coming into this game, and with a 9-14 record in Boston, it is not as if there are any home comforts to be gained by the team from Boston. The two teams clashed in Boston with the Heat thumping the Celtics by a score of 100-84 and while it would be nice for the Celtics to get a bit of revenge, this isn’t necessarily going to unfold. One thing the two teams have in common with this game is that they have both lost their last two outings. They are not that far apart in their last 10 record either, with the Heat standing with a 5-5 record and the Celtics hold a 2-6 record. With average points scored, the Celtics are way ahead, having grabbed an average of 101.4 points compared to the Heat who have only offered up an average of 92.7 points. With respect to average points allowed, the Heat have given up 96.4 points while the Celtics have given up an average of 103.5 points. Both teams were involved on Friday night, and both teams gave their fans a terrible start to the weekend. Miami lost at home to the Mavericks, with the 72-93 score line being quite embarrassing. The Celtics lost at home to Houston by a score of 87-93. The Heat are likely to be without Dwyane Wade while Luol Deng and Chris Anderson are being monitored on a daily basis. The Celtics are keeping a close eye on Evan Turner. This match could go either way, and there is an argument for thinking the Celtics will rise to the occasion and grab a win in front of their home fans, but they are unlikely to demolish the Heat. Taking the Heat with a +3.5 ahndicap, at odds of 1.90, is likley to be a sound bet for Sunday. Bet Now! This is a game between two teams who haven’t clocked up a lot of wins over the course of the year, just 22 wins between the two of them. The Lakers are the team with the (relatively) better record, sitting with a 13-34 record, which includes a 6-17 record on the road. 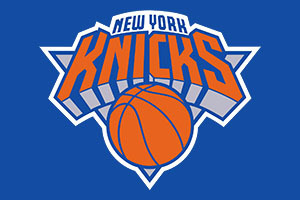 The Knicks have a 9-38 record, and this includes just the 6 wins at home, with a 6-17 record being posted by the Knicks. The Lakers have grabbed more points, picking up an average of 99.6 points per game while the Knicks have picked up an average of 92.7 points per game. The average points allowed per game for the Celtics stands at 100.6 while the Lakers have given up an average of 106.2 points per game. The Lakers won their most recent outing while the Knicks lost their last match. It is not as though the Lakers should be feeling too cocky though because they hold a 1-9 record in their last 10 games while the Knicks have a 4-6 record. The last outing for both of these teams came on Thursday with the Lakers grabbing a 123-118 home win against the Bulls. At the same time, the Knicks were losing 103-82 in Indiana against the Pacers. Both sides have injury concerns coming into this game. Bick Young and Kobe Bryant are major risks when it comes to the Lkaers while Andrea Bargnani and Travis Wear are majour doubts for the Knicks. The New York side will also be looking out for Jose Calderon, Cole Aldrich and Carmelo Anthony in the build-up to this game. This is likely to be a tight one, so taking the Knicks with a -3.5 handicap, and odds of 1.90, isn’t a bad idea. Bet Now!